If your kids are still young, college can sometimes feel a million miles away —a distant dream far off in the future that you’ll face when it gets a little closer. Maybe you and your spouse are still working to pay off your own student loans. Maybe you’ve taken a proactive approach and socked away a little fund to help offset the costs, but at the cost of your own savings. Or maybe you’re still working to build up an emergency fund, and the thought of paying for college seems downright laughable. Of course, if your once-small kids have now grown into teenagers, college might not seem quite so far away, and you may be wishing you had started planning a little sooner. Whatever you current situation, there is no time like the present to start making good decisions & preparing for the future–or the present. 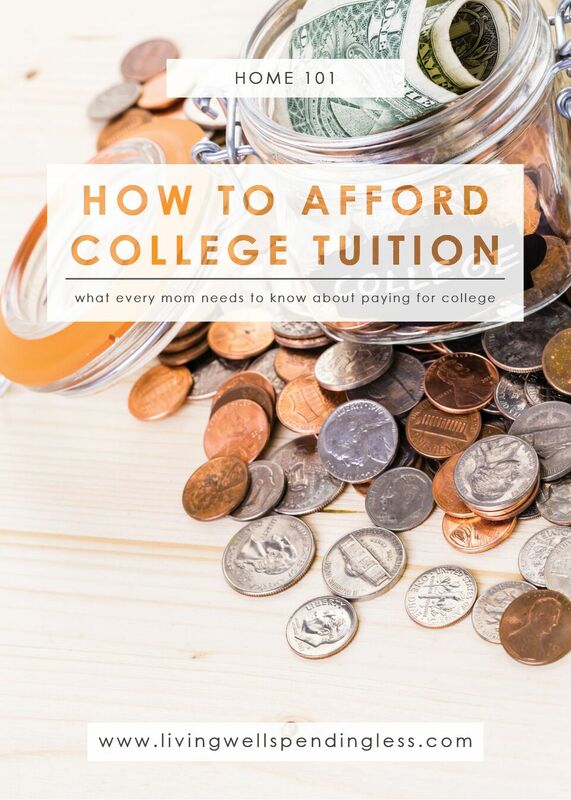 In any case, here are a few things every mom (and dad) should know about paying for college. When it comes to college savings, the first key is to take a hard look at your current financial state. Most financial advisors, including Dave Ramsey, recommend that you never put college savings ahead of your own retirement savings. The hard truth is that your kids can’t always come first. Consider it like an oxygen mask on an airplane—secure your own before assisting other passengers. Having your own finances in order, your debt paid off, and a comfortable savings and retirement plan in place will help ease the burden down the road on both you and your children. 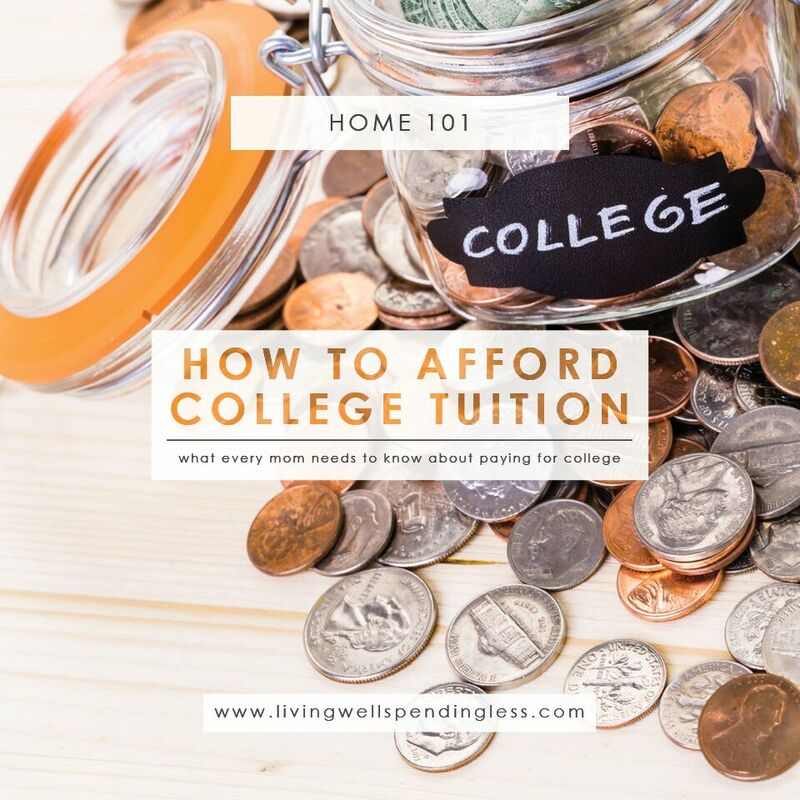 If your child is close to starting college and you haven’t already established a college fund, you may need to reframe the way you (and your child) look at education in order to keep your costs as low as possible. In today’s society, college educations are valuable and important, of course, but there are plenty of non-traditional options, and not every child needs to plan for Ivy League costs. Private liberal arts colleges can be vastly more expensive than state schools or community colleges, but they don’t always ensure employment after graduation. Your student can do their undergrad work at a local college, earn a technical certification, or even join the military to offset costs. If they decide to go into nursing, teaching, or another professional field where certification and licensure is necessary, consider this—all RNs take the same board certification exams, whether they attend that expensive private college or their local junior or state school. These students have many options when deciding how to structure their education plan, including getting a head start through programs like Running Start, in which motivated kids can graduate from high school with a 2-year associates degree already in hand. Don’t be afraid to get creative and encourage your child to pursue non-traditional alternatives to a 4-year degree. 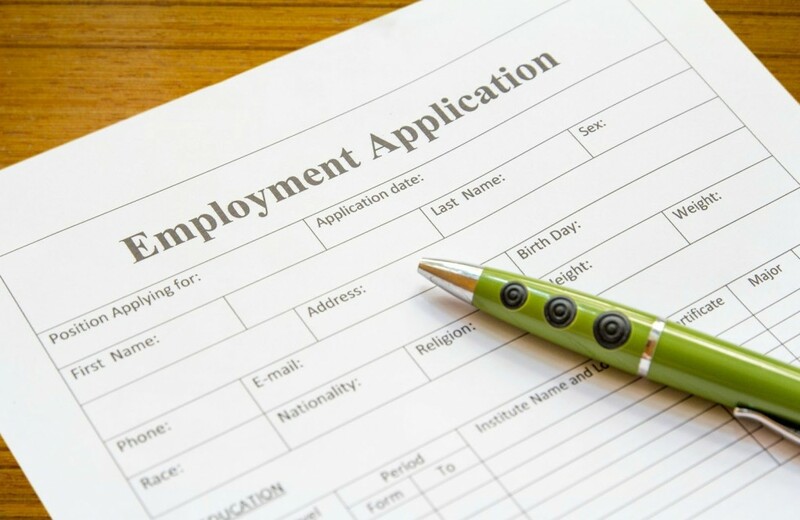 Moreover, depending on your financial situation, make sure your student understands he or she may need to have a job (gasp!) while they go to school. Believe it or not, it won’t be the worst thing in the world. Studies have shown students who hold down a 10 to 25 hour per week job while going to school have better grades and test scores. Many colleges offer on-campus jobs to offset tuition costs, which can build your child’s sense of community and responsibility. Even with an off-campus job, they’ll learn time management and planning skills at a vital time in their life. Students can also look into Job Corps, Peace Corps and other education and training programs where students can work to earn their education while having hands-on and real world experience. Your child should also consider all their options when they’re ready to get serious about planning their post-high-school experience. Be sure to weigh in costs of meal plans, off-campus housing and public transportation. Encourage your kids to make frugal and wise choices, like purchasing used books and sharing room and board. Before your child even understands the concept of college, you should be laying the groundwork to help build a strong financial foundation. 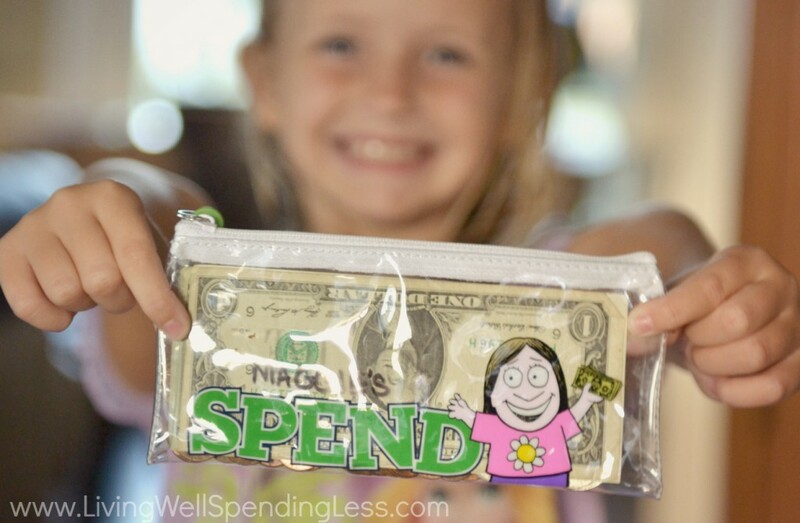 Even the youngest children can understand the concept of savings, delayed gratification and wise choices. One of the statements we hear from young adults time and time again? They wish they had understood the consequences of overspending, under-saving and loans BEFORE they embarked on a debt spiral. Helping kids see that they will eventually have to face up to their debts can really keep them in the right frame of mind as they plan and separate their wants from their needs. Also help your child establish “big picture” thinking when it comes to grades, homework and dedication to their academics. Scholarships and grants are a huge and underutilized source of funding for many students and can greatly offset the cost. There are tons of great, typically free student aid search sites. Encourage your child to do their own research into potential scholarships and grants. Students in high school can pursue Advanced Placement (“AP”) classes, some which offer college credit at discounted tuition rates. Students who are dedicated now and driven throughout their grade school and high school careers can pursue their dreams much faster and at a savings. 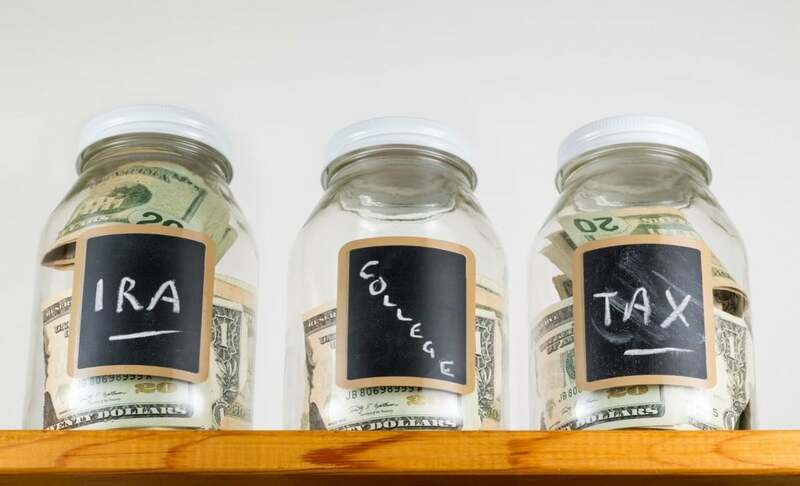 If you’re financially solvent and you have your own portfolio squared away, then it might be time to consider putting around 15% of your income away towards your child’s college fund. There are many options and savings methods out there, so be sure to do your homework. Working with an experienced financial planner or advisor to help navigate these options can be helpful. There are a few rules of thumb to follow when you decide to invest. First of all, do your research and understand the options available. Second, and probably most important, be sure your money is working for you. Simply “tucking” money away in a low-interest savings account is almost pointless, and it’s certainly not your wisest option long term. Consider what will bring you the greatest interest, what works for the amount of time you have (invest conservatively if college is just a few years away), and which options make you feel most comfortable. An Educational Savings Account (ESA) offers higher returns on your investment than traditional bonds or the poorly performing “insurance whole-life plans.” An ESA is basically like an IRA for your education and you can invest up to $2,000 per year, per child, tax-free. ESAs can often be transferred between family members and rolled over into your other investment plans in the event that it’s no longer needed. Similar to a 401(k), a 529 is a like an investment vehicle for your child’s college education. 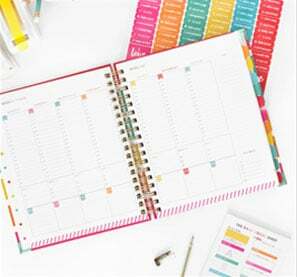 Named for the line of IRS Tax Code, it’s geared towards those who have more than $2,000 per year to invest and it can work either as a prepaid plan or a savings plan (much like a 401(k), where you’re invested in mutual funds). 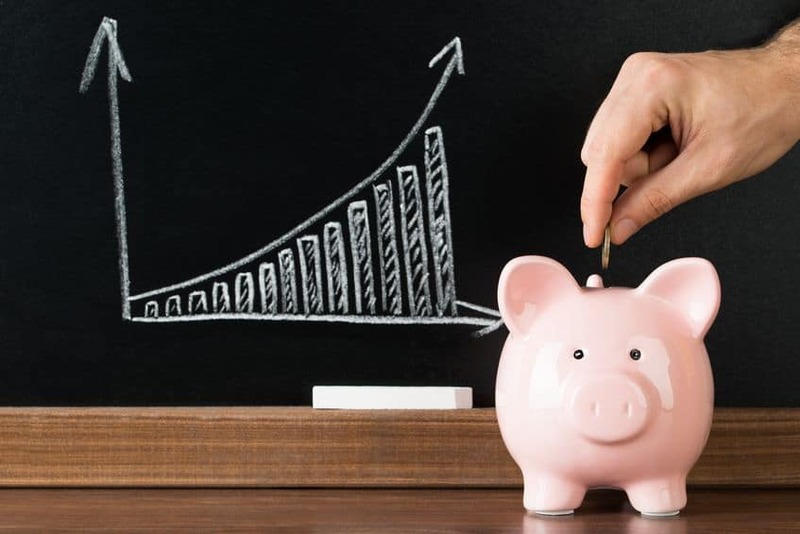 Offering a much better interest rate than a traditional savings plan, you contribute a set amount each month, and receive a tax break or allowance for your investment. The interesting thing about 529s is that they’re offered state-by-state, but your child does not need to attend a college within the state of their 529. For example, someone living in Florida could invest in a Maryland plan and send their child to college in Indiana. Nearly every state offers a 529 plan and some are more flexible than others. You can explore the options more thoroughly by visiting savingforcollege.com. You can also invest your money in a more traditional manner: with an IRA or mutual funds. Whatever you choose to do, again, be sure to do your research beforehand and see the returns each offers. Don’t panic. Many wonderful, amazing, learned scholars have worked their way through school, attended state schools or gone the less-traditional route. It’s no longer uncommon to see someone in grad school in their fifties or sixties or to see people change career plans down the road of life. (Trust me, I know–I majored in Political Science and dropped out of law school!) Our paths are not set in stone. Teach your children to be wise with their money and to separate their needs from their wants. Teach the value of education and help your kids enjoy school by keeping a positive mindset about their classes and finding the areas that fit their natural aptitudes. Build a strong foundation through whatever education option you prefer—private school, home school, public or charter school options. Share your love of learning and your financial peace with your family and you will surely pass those traits on to your kids, no matter what their future holds. There are so many great points here! Personally, I attended a community college for my Associates degree before transferring to a 4-year University. That saved a lot of money! One thing I wish I had taken advantage of was the community college honors society’s scholarships to specific 4-year schools in my area. I had my heart set on one University which didn’t offer a transfer scholarship, and I looked past the financial benefit of attending a different school. We regarded college tuition as “adult daycare” as the cost of having a child in daycare or college are pretty equivalent. Mr. LC and I paid for both our boys to attend college as we highly valued education as long as it led to lucrative satisfying careers. They both knew that the funds would be immediately cut off if they were being misused so it was a nonissue. Very true! I loved the part about getting a job! My parents paid for my undergraduate degree, but I was expected to get a job to pay for spending money and things like books, a car, insurance, etc. That was an interesting statistic about the correlation between having a job and a higher GPA, too! One thing to note, some states also offer prepaid tuition plans. It may be worth looking into if your state offers it. The tuition for my graduate degree increased 18% from one semester to the next, so a prepaid tuition plan would help cover that while a 529 plan or ESA wouldn’t. I live in Michigan and plan on starting the prepaid tuition plan for my children once they are in kindergarten. I also have 529 plans for them, which I set up at birth, that I will use to pay for their books and living expenses. I love that you’re discussing college costs, Ruth! My kids still have years to go, but already we’ve started their college funds. Like you said though, we prioritize our retirement, but whenever we can, like when the kids get gifts, we stash that in their savings. Every little bit helps! I think the most important factor is modeling a sound financial life ourselves. Not getting into debt, or spending more than we earn, or prioritizing material happiness over other pursuits. This is a great post! I think a lot of people in general (and kids especially) have an idea that they’ll worry about the cost later. Even the best laid plans can go awry. Both my sister and I attended expensive private colleges with my parents intending to pay part of the cost up front and paying off our student loans later (very generous I know.) Unfortunately my dad’s business has struggled and they weren’t always able to make the loan payments, leaving that responsibility to us. It wasn’t their plan when we chose our colleges, but sometimes life throws you a curveball. Having gone through that experience, one of my highest priorities for our family is being prepared for my kids’ education. 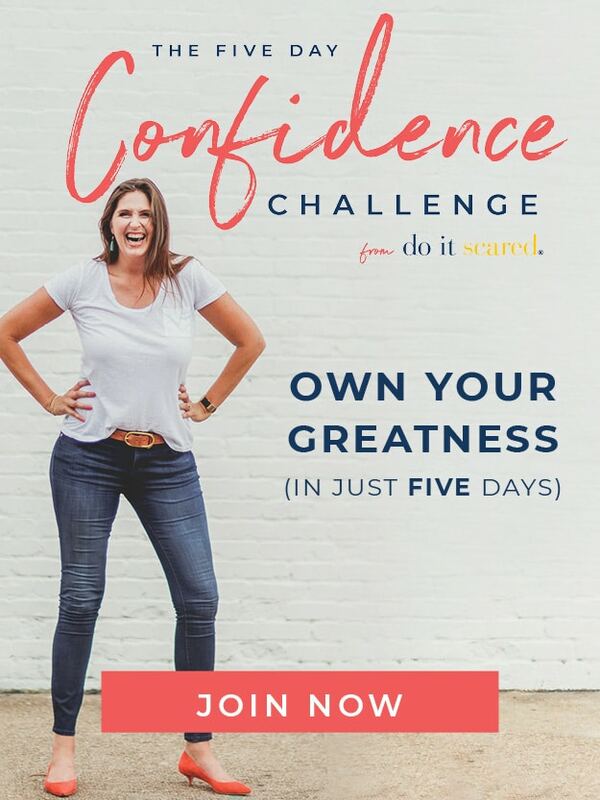 While I believe in having them share some of the cost of living expenses, etc, I don’t want them to suffer the stress that results from poor financial planning. Thanks for all the great tips! I would warn all parents about spending on kids for college.if you spend for a child’s college, you will work well late into live. I loaned my daughter out of my retirement account 60K now that it is time for her to pay me back , she stated( you were too stupid to loan it to me and that was the last time she has spoken to me) Keep in mind you never really know someone. We use to be very close. Seems it was all about what she could get out of me. Great points! Our son, age 22, graduated in May, got married two weeks later, and is making a living with a piano performance degree! He got a scholarship that helped cut costs for a private college education, but he still needed about $16k/year. We helped with a 529 account and some contributions, but he had to get a job (senior year, he had 3 part-time jobs) to graduate without student loans. One thing we did was set expectations in a contract. Our support was contingent on his contributions to his education and his grades. The more he spent from his earnings, the less we gave — rewarding him for being wise. He had to maintain his grades to even consider getting help. I love the idea of involving your child in the conversation, and helping them to understand the consequences of loans. I feel like my parents tried to do that for me, but I was too in love with the idea of my (super expensive) dream school to hear them. Writing up a potential budget with all of those numbers might have helped to yank my head out of the clouds a little. hi, it’s very helpful article for parents of future college student. especially, when you, unfortunately, did not pay with your own credit fees. But i have a few friends, who desided to solve this problem for enother way. they just ordered admission essay for their child on https://pro-papers.com/college-admission-essay-writing wich is why it was easier to him to go to college. If honestly, I don’t approve methods like this, but we all have choise. Great article. Starting your own career is very important. To get nice start you need some business talent and some little help from https://coolessay.net for your perfect resume even kids can do it. All in your hands, just do it! My advice may be more useful for students than for their mothers. But still want to share it. I understood that being a student is a hard work when I had to write a university coursework and didn’t understand how to do it. Then I found https://courseworkinfo.co.uk an informational blog, everything you need to know about paperwork. What you need to know is that you can get college student help at https://paperleaf.ca/college-students/ for your son. It can be a great help to him. If a student is a state resident, then on average he pays for college or university studies three times less than a student from another country or even another state. In English, this is called in-state and out-of-state tuition. As you know, being a local is not easy. To do this, you must be either a US citizen or have another legal immigration status (for example, be a green card holder). This is a well-known fact that leads to a sad conclusion: the cost of education for foreigners is very high. But there is a little trick that very few people know about: you can become a local for a state without being one. Everything is absolutely legal and completely real. How to do it? One of the working options is the program of international cooperation between regions and cities of Russia and the USA. They can be found by the phrase “sister cities” (sister cities). What parents need to know is that college is very important for children, and its importance should not be underestimated. A great article has been seen after a long time, all the above mention points are really helpful in saving money for students education. Great tips for parents are also available that really need to be noticed by parents. If we analyze small saving can build a huge amount in the end. The worst thing that parents can do is go into uncontrolled debt to pay for their children’s education. For students, there are a lot of options out there to pay for school, and parents need to make sure that they exhaust all of them before taking out a loan. These options include scholarships, grants, working through school, and loans that the student can take out themselves.